Advanced Resuscitative Care… why this is the beginning. The Advanced Resuscitative Care (ARC) CPG is the most advanced TCCC update yet. For those who have been paying attention, it marks a milestone in DoD medicine, by allowing advanced providers with a mastery of the basics to reach into the remaining cause of preventable death: Noncompressible Torso Hemorrhage, or NCTH. The huge majority of these casualties can be saved by effective implementation of Advanced Resuscitative Care. 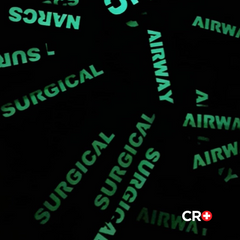 In recent years, the model for the Surgical Resuscitative Teams (SRT) has grown in popularity due to the mobility of these assets and their ability to bring the definitive surgical capability to the front lines. Their successes, including some notable after action reports have influenced ARC and it seems, the entire direction of the Joint Trauma System (JTS). The JTS highlights the desire for increased focus into the area of Advanced Resuscitative Care, and admits that ARC crosses over between multiple roles of care to include Tactical Field Care (TFC), Damage Control Resuscitation, Damage Control Surgery, and Enroute Care, meaning that an increased effort to standardize the phases of care should be made. Evidence shows the casualties who receive whole blood products at or near the point of injury have a better chance of survival than those who do not. For casualties that have internal hemorrhage, whole blood is combined with Resuscitative Endovascular Balloon Occlusion of the Aorta (REBOA) to tamponade bleeding from abdominopelvic injuries below the diaphragm and increase the survivability before a casualty reaches surgical care. The treatments needed to be performed for successful implementation of ARC can be done by the individual medic, however it is proposed that Advanced Resuscitative Care will be best utilized in a team environment with a minimum of four trained providers due the tactical limitations of a single medic, and the overwhelming amount of procedures necessary to successfully complete ARC. If interventions are not performed in a timely manner, studies show that casualties are likely to die of wounds in as little as 15-30 mins from time of injury. The Golden Hour demands that from point of injury during military operations, definitive surgical care is no more than 1 hour away. With the drawdown of conventional forces and increased MEDEVAC times, combined with the likelihood of casualties dying of wounds within 15-30 mins from point of injury, ARC “bridges the gap” between the point of injury and a definitive surgical capability. Whole Blood has been the fluid of choice since 2014 and recommended by the CoTCCC, however the use of whole blood in conventional units is still uncommon. Every effort moving forward will be to educate and equip conventional units in the use of whole blood. Officially, unofficially, the use of clear fluids to include crystalloids and colloids is not recommended for the treatment of hypovolemic shock. Cold-stored LTOWB, is still uncommon throughout the DoD. 75th Ranger Regiment and JSOC being the only assaulting forces to routinely carry cold-stored blood and have a blood cold chain in place. More R&D into the blood cold chain would make a major impact in units’ ability to utilize WB at the point of injury. Ultrasonography is crucial to rule out internal bleeding, however there is evidence that EFAST does not completely rule out intra-abdominal bleeding, therefore, more specific criteria must be utilized to indicate the use of REBOA in ARC. Immediate IV or IO access and femoral 18g a-line access- rate limiting step!! According to the ARC CPG, the CoTCCC recommends a similar approach. LTOWB or LTOWB collected from donors in a unit-based Walking Blood Bank, such as that established in the 75th Ranger Regiment. (1:1 RBCs and plasma are better than crystalloids or colloids, but should only be used when, for some reason, whole blood is not available). For REBOA, the challenge is to control NCTH while minimizing tissue ischemia, therefore “intermittent Zone 1 REBOA” is recommended in the protocol (see update below). In addition to whole blood and intermittent Zone 1 REBOA, the benefits of casualties arriving at an MTF with a REBOA catheter in place, even with a deflated balloon greatly increase the capabilities of the surgeon by allowing the option for proximal aortic occlusion for increased ease of identifying and treating the underlying vascular injury. The most encouraging thing about reading the latest CPG for Advanced Resuscitative Care, is that lessons written in blood have not been lost and evidence-based medicine is continuing to progress the field and embrace new technologies with the goal of zero preventable deaths. Combat casualties who are in shock from noncompressible torso hemorrhage (NCTH) in the prehospital setting have a high mortality rate and need life-saving interventions to be performed as soon as possible. The two most important of these interventions can be provided by Advanced Resuscitative Care in TCCC: transfusion of whole blood to provide optimal resuscitation for the casualty’s shock and Zone 1 REBOA (Resuscitative Endovascular Balloon Occlusion of the Aorta) to temporarily control NCTH below the diaphragm. ARC is an advanced capability in TCCC. 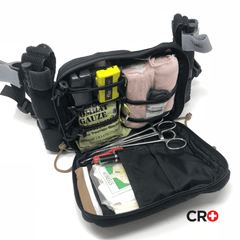 Although whole blood resuscitation can be provided by a single prehospital provider in some settings, to do both robust whole blood resuscitation and possibly subsequent REBOA, requires a team of 4 or more specially trained and equipped individuals. When a casualty meets the indications for whole blood resuscitation, transfusion should be initiated as quickly as possible, followed rapidly by Zone 1 REBOA if that procedure is indicated as outlined below. 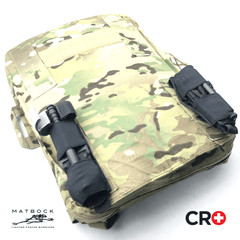 ARC could be provided to supplement Tactical Field Care by a team located near the point of injury, or it could be used to supplement TACEVAC Care on an evacuation platform. Whenever tactically feasible, a team with an ARC capability should be positioned as close to the point where casualties are likely to be sustained as possible, since many casualties with NCTH will die within 15-30 minutes without ARC. For these casualties, Advanced Resuscitative Care is likely to be the only thing that will effectively prevent their death. If the casualty is in traumatic cardiac arrest, bilateral NDC should have been performed. a. Resuscitation should be initiated with FDA-compliant Cold-Stored Low Titer Type O Whole Blood (LTOWB) as the preferred option and every effort should be made to have it available. b. LTOWB from a unit-based, pre-screened and pretitered walking blood bank (WBB) should be used as the second option if FDA-compliant cold-stored LTOWB is not available. c. If there is a pre-screened—but untitered—unit-based WBB designed to collect whole blood, utilize only Type O units of whole blood as the third option. d. If there is a unit-based WBB designed to collect, type, and transfuse type-specific whole blood, that is a fourth option. *NOTE: Option (d) may result in morbidity or even death due to ABO mismatch if the wrong blood type is transfused. *NOTE: 1:1 RBCs and plasma should be used in the sub- optimal circumstance that FDA-compliant whole blood is not available, but FDA-compliant red blood cells and plasma are available. *NOTE: Use of non–FDA-compliant whole blood requires additional post-transfusion monitoring per DoD directives. Continue resuscitation until an SBP of 80–90mmHg is present. If the casualty has an altered mental status due to suspected TBI, resuscitate as necessary to restore and maintain a target SBP of at least 90mmHg. During resuscitation, blood products should be warmed using a fluid warmer and infused rapidly. As whole blood transfusion is being performed, con- sider obtaining early common femoral artery access so that REBOA can be undertaken quickly after the first unit of whole blood has been administered should the casualty subsequently be found to meet the criteria for REBOA. The Casualty has penetrating or severe blunt force injury to the abdomen or pelvis and a positive FAST exam or is judged to be at high risk for abdominopelvic NCTH or is noted to have difficult-to-control junctional hemorrhage. not been found on bilateral chest tube insertion and an EFAST exam. with a surgeon at the receiving medical treatment facility (MTF), if at all possible. This will both provide expert assistance on the decision to use REBOA and alert the receiving MTF so that they can prepare for the casualty. Teams with an ARC capability should have a CoTCCC- recommended junctional tourniquet available to control access site bleeding should that be encountered. Combat Gauze or another TCCC-recommended hemostatic dressing should be used to control access site bleeding. d. Ketamine can be used for procedural analgesia and sedation. Opioids should be avoided in hypotensive casualties. e. All REBOA in TCCC is Zone 1, since intra-abdominal hemorrhage originating above the aortic bifurcation can- not be definitively ruled out by a negative FAST exam. f. Once the casualty has been determined to meet the criteria for REBOA, the procedure should be undertaken promptly, since further decreases in systolic blood pressure will make common femoral arterial access significantly more difficult to obtain. g. Placement of the balloon in aortic Zone 1 is guided by the markings on the ER-REBOA catheter. h. Fully inflate the balloon in Zone 1. Start with 8–10mL of any crystalloid IV fluid. Confirm full occlusion by not- ing that the contralateral femoral pulse is extinguished. i. If the contralateral femoral pulse is still present, add 2 more mL of IV fluid and recheck the pulse. Repeat un- til the pulse is extinguished or a maximum of 24mL of fluid has been used. j. Leave the balloon inflated for 15 minutes. The SBP should increase quickly and substantially after balloon inflation when the bleeding site is distal to Zone 1.
k. After 15 minutes, slowly deflate the balloon completely over 30 seconds. l. Re-assess the casualty. If he or she has an SBP of 80mmHg or greater, leave the balloon deflated. n. If the SBP drops below 80mmHg, re-inflate the balloon and use either Option 1 or Option 2 as guidance for further inflation. As long as the periods of balloon deflation without SBP dropping below 80mmHg continue to be 3 minutes or longer, use 10-minute inflation periods followed by an- other deflation out to a maximum of 120 minutes. Continue resuscitation with whole blood. If the casualty does not maintain an SBP of 80mmHg or higher for at least 3 minutes after balloon deflation, then re-inflate the balloon and use a maximum of 30 minutes total balloon inflation time. Continue resuscitation with whole blood. q. If the casualty has stabilized (SBP remains above 80mmHg without balloon inflation) after the inflation times specified above, but is more than 4 hours from the care of a surgeon, remove the sheath and hold pressure for 30 minutes with a junctional tourniquet or with Combat Gauze or another TCCC-recommended hemostatic dressing. Evaluate for distal pulses in the extremity. r. If the casualty has stabilized as noted above, but is within 4 hours of surgical care, leave the sheath in place, and flush the side port every 15–30 minutes with 3mL of IV fluid. s. Document distal pulses frequently. t. Once REBOA has been performed, every effort should again be made to communicate with the surgeon who will be receiving the casualty and obtain his or her recommendations for subsequent management. u. Document all aspects of the REBOA procedure. – Details of the REBOA procedure as noted above. 2. Proper training. Anytime you are working with putting blood from one person to another it is a high-risk endeavor. The reason it is allowed in a field situation within our line of work is a very simple Risk vs. Reward equation. What is the worst thing that can happen if I don’t give the patient blood? He dies. The same answer goes for the question, what is the worst thing that can happen if I do give him blood? When giving blood, if it is done improperly, or done without knowing 100% without a doubt the blood types of both donor and recipient, you stand a chance of having a life-threatening event. Proper training teaches you the steps leading up to, actions on, and corrective actions in case of a transfusion reaction. You have to have a thorough knowledge of the s/s of hemolytic reactions, anaphylactic reactions, and so on and so forth, as well as the drugs used to counteract these potential complications as they happen. **Remember to use your resources. 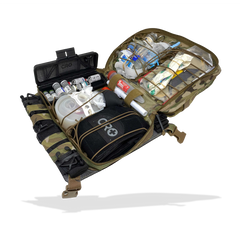 A great one is the Whole Blood Toolkit, by Next Generation Combat Medic. 4. Titer testing. The Army and the Air Force have the ability to run specific titer testing for your O type blood. The Navy and Marine Corps team does not have the ability to pull blood tubes and send them in for testing. We have found a workaround through a mutually beneficial relationship with the local Armed Services Blood Program (ASBP). For those that do not know the ASBP, they are an organization that is organic to MTFs that holds blood drives around military bases and other government installations, and provide blood to all MTFs and deploying Units. We have worked a relationship here that works like this: We give them full units of blood to increase their stock, they turn around and test the blood for their titer level, blood type, and all pertinent blood born pathogens. After testing the OIC of the ASBP provides us with a list of all results including titer level for all units collected. We turn around and use that list as our primary donor list in the case we need to activate our walking blood bank. LTOWB (Low-titer group O) is the preferred universal donor, due to its low probability of hemolytic and anaphylactic reaction. 5. IMPORTANT: titers must be verified no more than 90 days prior to deployment. While deployed titer results are considered valid for 1 year. 6. If you have run through all of your pre-identified donors (Low-titer group O) it is possible to go type to type specific (A to A, B to B). If you haven’t done a full type-drive prior to deployment, you will need to use Eldon cards to type both donor and recipient prior to beginning transfusion. Nobody should be doing this without authorization. Blood transfusions are a great tool for keeping a patient alive that otherwise wouldn’t survive, they are also potentially dangerous. Our titer drives (that’s what we call when we send all of our O type guys in to give a unit and have their blood tested) might not work at alternate facilities, it will be up to you the medic/corpsman to create and nurture that relationship. If you are unsure of something and don’t have the ability to ask or find out DO NOT DO IT! Highlights from the Damage Control Resuscitation in Prolonged Field Care Clinical Practice Guidelines. REBOA- Past, Present, Future... in light of the new DCR CPG by JTS. The concept of aortic balloon occlusion for hemorrhage control is not new. One case series published in 1954 described the use of REBOA in combat. Vascular surgeons have been using this technique for years to sustain patients with ruptured abdominal aortic aneurysms until they can reach the OR. Interest in REBOA for traumatic hemorrhage was re-invigorated after truncal hemorrhage was found to be responsible for over half of preventable deaths in the Eastridge study “Death on the battlefield (2001-2011): Implications for the future of combat casualty care”. 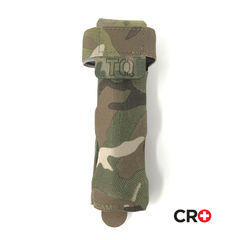 With few options aside from TXA to assist with non-compressible torso hemorrhage, combat medical practitioners need additional resources to assist in prehospital hemorrhage control. In the austere setting, the goal of REBOA is to control abdominal and pelvic hemorrhage until the casualty can reach a forward surgical team. Most of the experience with REBOA originates from U.S. civilian trauma centers. Because our experience is still limited and data is still being collected, REBOA has been adopted at relatively few civilian trauma centers. Intense debate persists about appropriate timing, indications, location of balloon placement, duration of occlusion, and partial vs complete occlusion. Until we have more data, it is unlikely that REBOA will be widely implemented at civilian trauma centers. However, combat and austere medicine involves a different set of logistical constraints and a higher incidence of non-compressible truncal hemorrhage. There are no other field-expedient techniques to control this type of hemorrhage and few surgeons available in this setting for resuscitative thoracotomy. If we are going to minimize preventable death on the battlefield, one goal needs to be pushing advanced hemorrhage control techniques far-forward. With that in mind, advanced combat medics, PA’s, and physicians are being trained in REBOA. Special operation surgical teams have been deploying REBOA for some time. The training and supplies are now being distributed to all forward surgical elements in Iraq and Afghanistan. While the available REBOA data is currently in evolution, the safest use of REBOA seems to be short term occlusion of the aorta in Zone 3 for severe pelvic hemorrhage. The concept of ‘partial occlusion’ in Zones 1 and 3 is still under investigation and may confer survival benefit with fewer complications. The data on REBOA remains controversial and is a work in progress. We have limited published data from REBOA used in combat. Dr. Rasmussen’s team published a case series of 4 REBOA deployments in austere environment in 2016. Their study showed all patients survived to Role 2 hospital and there was no evidence of any complications related to the procedure. Do not remove sheath until patient is resuscitated, hemorrhage controlled, and stabilized at Role 3 hospital.